As a member of the “Apsaalooke Nation”, Supaman makes his home on the Crow reservation in Montana. “Supaman” Is Christian Takes Gun Parrish, a Native American dancer and innovative hip hop artist who has dedicated his life to empowering and spreading a message of hope, pride and resilience through his original art form. He has been the recipient of the 2017 MTV VMA award for “Best Fight Against the System”! He is also a Nammy “Native American Music Award” winner, “North American Indigenous Image Award winner, and 7 “Tunney Award winner. He was awarded The Aboriginal Peoples Choice Music Award in Canada for best video and was voted MTV’s new Artist of the Week! His 2018 nominations brought him home awards for Best Hip Hop Album and Best Producer for the Indigenous Music Awards. His latest video’s titled “Prayer Loop Song” and “Why” both have gone viral and have received millions of views on youtube and facebook which has put him in high demand touring extensively throughout the U.S.A and internationally. He has performed for Google at the Google headquarters in San Francisco. He recently was asked to audition for America’s Got Talent and the Broadway play Hamilton. He is currently working with Taboo from the multi grammy award winning group “Black Eyed Peas” looking to complete a project in the coming months. 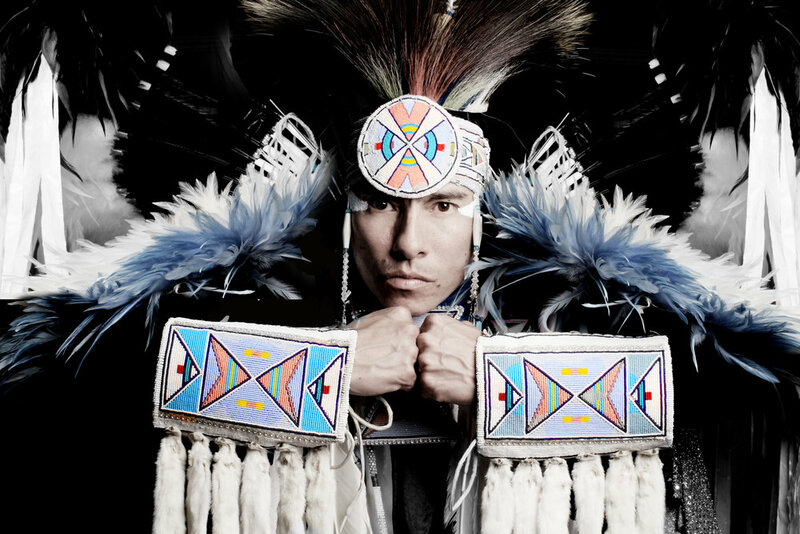 Supaman’s one of a kind presentation combines Native American culture, comedy and urban hip hop culture which dazzles audiences and captivates listeners. For this he has gained the respect of his community and generation. The communicative talent along with the compassion that exudes from his music allows him to connect with people from all walks of life. His uncanny ability to motivate, encourage, and inspire through dance, and hip hop music keeps him at the forefront among his contemporaries which gives him a platform to educate on Indigenous issues.